Hit the road and discover the wonderful diversity of Cambodia. Loop around the country from temple-laden Siem Reap to the glittering capital of Phnom Penh. In between, explore the southern beaches, rugged mountains and vast swaths of countryside that make up the heart of Cambodia. Welcome to Siem Reap, the base for exploring the fabled temples of Angkor! Upon arrival to Siem Reap, our driver and local guide will be waiting to provide transport into the city for hotel check-in. This evening, enjoy dinner at Marum Restaurant. Part of the Tree Alliance group of training restaurants, Marum provides vocational training in the hospitality industry for local street kids and disadvantaged youth. Set in a delightful wooden house with a spacious garden, Marum serves a winning mix of creative local cuisine… that helps make a difference! Pickup will start from the hotel via remork for the short ride to the outskirts of town. Upon reaching town, an operational staff member will provide a briefing and assist with the bicycle fitting. Set off on the first stretch to Angkor Wat, where the bike will stay with the remork driver. Enter and exit Angkor Wat from different entrances, while the bikes are transferred in between. Built during the reign of King Suryavarman II in the early 12th century, Angkor Wat (the icon of Cambodia) was constructed to represent Mount Meru, the Hindu/Buddhist home of the gods. Inside the temple, the walls are covered with stone carvings, bas-reliefs, and over 2,000 Aspara dancers. After leaving Angkor Wat, continue the cycle onwards to the ancient city of Angkor Thom. Angkor Thom is known for its 8-meter-high wall drawing a perfect square around the city, as well for its impressive stone gates. Enter through the gate and cycle to Bayon Temple (at the heart of the city.) This 12th century masterpiece is known for its 54 face-carved towers. Passing the Terrace of the Elephants and Terrace of the Leper King, arrive finally to Ta Prohm. Left largely as it was discovered, this overgrown temple sits as the complex’s most picturesque. Continue via bicycle (or remork) to Sra Srang, a former royal bathing pool. Cruising through the countryside, take note of Pradak village, which is renowned for its production of traditional Khmer Noodles or Ka Tien. The road follows north before arriving at Banteay Srei. This “gem” of the Angkor region is the best-preserved temple in the complex, boasting some of the finest examples of classical Khmer art. After lunch, enjoy a relaxing cruise in a gondola paddle boat at the moat of Angkor Thom. The boat will arrive close to the historical ruins of Prasat Chung offering a beautiful viewpoint to see the sun set over the countryside. Cruise back to the Angkor Thom gate and transfer back to the hotel via remork. In the evening, pickup will be sorted by our local guide for a food tour. Uncover hidden treasures and areas favoured by locals to sample some of Cambodia’s lesser known cuisine. From the city center with its famous market place and outside town to the iconic Street 60 (a true local experience) to Triangle Restaurant and a nightcap at the Sombai rice wine workshop, this culinary experience offers it all. After the comprehensive culinary tour, either head back to the hotel or get dropped off at Pub Street to continue the night! 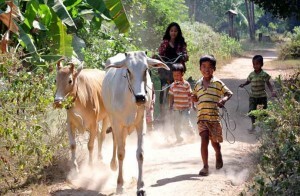 Today’s experience provides an incredible insight into the life of rural Cambodia. Pickup will start from the hotel early in the morning for the drive out to Ta Brak village, 25 minutes from town. A western packed breakfast from the hotel will be taken; upon arrival, meet and sit down with a local family and share this breakfast with them to learn about local village life. From here, take a 30 minute ox cart ride through the village to a local market for a brief introduction on Cambodian vegetables, herbs, fruits, and other local produce. Continue by foot through the picturesque countryside, stopping off to meet the local community along the way. 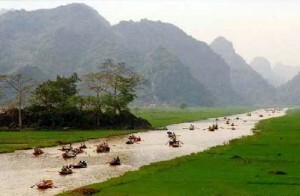 Each tour through the countryside will be different, as the activities vary depending on the time of year. End the morning at the local pagoda where a special water blessing by Buddhist monks awaits. 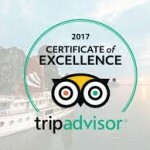 After the ceremony, make a stop at the 9th Century Bakong Temple, part of the Roluos group (the ancient Hariharalaya civilisation), before continuing on with a boat trip on Tonlé Sap Lake. Learn all about life on Tonlé Sap- the largest freshwater lake in Southeast Asia and officially designated as a UNESCO Biosphere Reserve. Continue the cruise out to Kampong Phluck. This village features traditional stilt homes and displays the authentic life of local fishermen and their families who live amongst the flooded mangrove forest. In one of the floating houses, a delicious lunch will be prepared. Enjoy the beautiful scenery dominated by the tranquility of the lake. At 8PM, enjoy a performance of ‘Phare, the Cambodian Circus’. The hour-long show mixes traditional and modern theater, music, dance, acrobatics, juggling and contortion performed in a story about Cambodian lives and society. Enjoy the morning at leisure before transport is provided to the airport for the midday flight to Phnom Penh (60 mins). Upon arrival, our guide and driver will be waiting to provide transport to the hotel. Despite its recent (turbulent) history, Cambodia’s capital was once considered one of the most beautiful cities in the Orient. 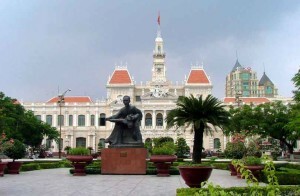 Still retaining much of its former colonial charm, Phnom Penh boasts wide, tree-lined boulevards and many colonial-era buildings reflecting its more glorious days. After a relaxing break, head into the city with a local cyclo driver to embark on tour through the most remarkable sights of Phnom Penh. Begin first with a visit to the Royal Palace, followed by the Silver Pagoda, named for the over 5,000 heavy silver tiles that cover its floors. Its original name is Wat Prakeo, meaning Temple of the Emerald Buddha; the temple is known for its collection of Buddhas in gold, silver, crystal, and bronze. Continue on to the National Museum, housing the world’s foremost collection (over 5,000 pieces) of ancient Khmer artistic, archaeological, and religious artifacts from the 4th to the 13th centuries. 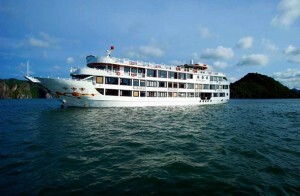 In the evening, board the Kanika vessel for a shared dinner cruise along the Tonlé Sap and Mekong rivers. 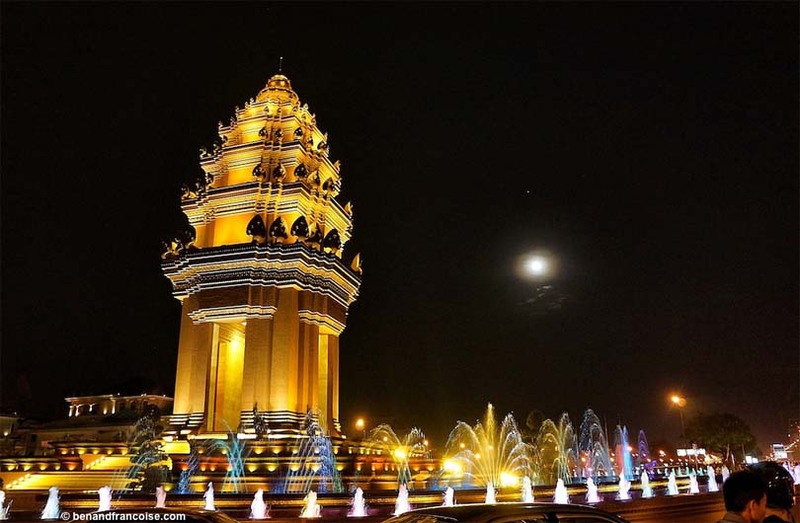 Enjoy wonderful views of the riverfront and the Phnom Penh skyline over dinner. Spend the morning getting acquainted with the capital’s fascinating culinary offerings. Though its cuisine is not as well-known as its neighboring countries, Cambodia has a great variety of national dishes to choose from. In the morning, travel from the hotel to the market for a guided tour through the aisles. The local guide will explain the different fruits, herbs and vegetables, and how they are used in Khmer cuisine. Sample some seasonal fruits along the way. The walking tour will last about 2 hours before continuing to a local restaurant, which uses many of the ingredients seen at the market. Various dishes are ready cooked and French-style baguettes (num pang) and the tasty ‘nom banh chok’ can be ordered. After lunch, head into the ‘Russian Market’, the best place in the city for wood and stone carvings, jewellery, clothes, and Cambodian silk souvenirs. After making a few purchases, it’s time to pay a visit to Cambodia’s dark past. Start with a visit to the Tuol Sleng Genocide Museum. Taken over by the Khmer Rouge, this former high school was converted into a detention and torture center known as ‘S-21’. Next up is a visit to the equally as harrowing Killing Fields of Choeung Ek. Both are grim, but important visits that allow one to dig below the surface and understand present day Cambodia better. After these poignant visits, head to the riverside area of Phnom Penh for a relaxing evening experience. Take note of the various activities taking place, from exercise classes and Khmer dancing to the endless array of food stalls. Participate in a Khmer dance class or sample some of the local delicacies on display. From here, either head back to the hotel or stay riverside to explore this bustling area independently. The morning of Day 6, depart Phnom Penh for the southern Takeo Province. En route, pay a visit to Phnom Chisor, where it’s possible to climb to the top of a hillside to explore the well-preserved ruins of a 10th century Angkorian temple. Enjoy an amazing view over the typical Cambodian countryside. Upon arrival to Takeo, enjoy a simple but tasty lunch at a local restaurant. Board a fiberglass motorboat to zip along the canal to the archaeological museum of Angkor Borei and the temple ruins of Phnom Da. Continue the journey onwards to Kep. Cambodia’s prestigious seaside resort of the 1960s, Kep is now awakening to its former glory. With beautiful coastal escapes, excellent day trips, a national park, and famous crab market, the small town has a lot to offer! Enjoy the day at leisure or the featured optional tour. During the wanders around Kep, keep an eye out for the decaying 1960s villas and the royal residence; both reminders of Kep’s heyday as a high-society seaside retreat abandoned during the Khmer Rouge time. Embark on a short boat trip (25 mins) to the pretty island of Koh Tonsai, also called Rabbit Island. Spend the morning at leisure exploring the island and relaxing on the island’s beautiful tropical beach. A picnic lunch will be prepared for on the island with cool drinks on the beach. Mid-afternoon, return to Kep and enjoy the rest of the day at leisure. Set aside the morning for a visit to the popular Kep crab market (busiest on weekends and holidays.) See the crabs being stored in baskets of shallow water, ultimately waiting to be cooked in the market. Learn from the guide which are the best and tastiest crabs to select. Leave Kep for the town of Kampot. 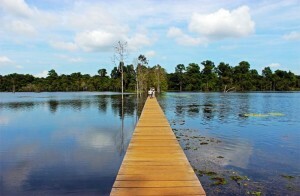 Just past the scenic Secret Lake is Starling Farm, a family owned pepper plantation. Kampot pepper was first documented by Chinese explorers in the 1200’s but first came to prominence in the 1800’s as a high-quality, highly desired product in Paris. Take a tour of the pepper plantation and learn about the difference between green, black, white and red peppers. After, enjoy a lunch (and the chance to taste some fresh green peppercorns) at the Starling Restaurant. Continue onwards to Kampot town. Take a break to stretch the legs in this charming riverside town, boasting magnificent surroundings still dominated by French colonial architecture. The final transfer is on to the beach town of Sihanoukville, arriving around late afternoon. The park was established in 1993 on a 210 km² area on the Gulf of Thailand, including thick pristine jungle, mangrove forests, and off-shore coral reefs. It’s a nature lover’s paradise with nearly 200 bird species, many kinds of monkeys, and is home to the elusive pangolin. Transport will be provided to one of Ream’s most scenic isolated beaches, Koh Sampouch. After arriving at Tatai Bridge, transfer by shared boat (approximately 20 mins) to tonight’s accommodation: a peaceful retreat with overwater tented villas, set on a quiet bend in the river with the lush Cardamom Mountains serving as the idyllic backdrop. Spend the afternoon at leisure exploring the river by kayak, swimming in the clear waters, or fishing from the villa’s private terrace. Wildlife is abundant here: look out for colorful butterflies and bizarre-looking insects as well as some of the 550+ bird species found in this area (such as brahminy kites or great hornbills!) In the evening, take a short boat trip where fire flies fill the night sky. Spend the final full day on an excursion to the Tatai Falls. Depending on the day’s tide, depart around 10AM for the 45-minute boat ride past Tatai village to the falls. A local English speaking guide will lead the tour. Turning onto a tributary, head into the heart of the Cardamom jungle filled with the far-off sounds of exotic birds and secretive wildlife. Before long, the tour will reach the turbulent waters of the falls. Enjoy a picnic lunch and refreshing drinks (or maybe a few moments of a hydro-massage!) accompanied by the sights and sounds of the jungle. Kayaks are available for the last stretch to add some fun and adventure; alternatively, stay on board the boat. Upon return to the lodge, the late afternoon is free at leisure. Relax in the tent or do some more kayaking or fishing from the tent platform. Enjoy the morning at leisure until the transfer out by boat and direct transfer to Phnom Penh airport for the departing flight.